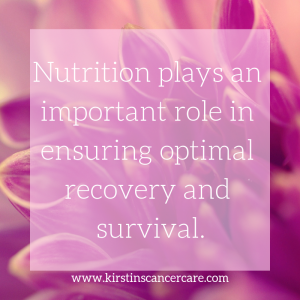 Whether newly diagnosed with cancer, in the middle of treatment, or perhaps already beyond cancer, I am sure you understand that nutrition plays an important role in ensuring optimal recovery and survival. In your quest to figure out which nutritional direction you should aim for, you may have found a plethora of conflicting information online, a myriad of expert diets, often in direct contradiction to each other. 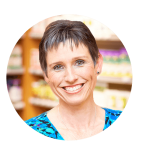 I wanted to provide you one space to receive clarity on the major anti-cancer diets so that you are able to understand the differences between them and make your own decision about which direction is optimal for your own health path. Before I review the Macrobiotic Diet, let me detour real quick and just let you know why I personally actually don’t like the word “diet”. Diet has rather negative connotations for many of us, that may conjure up memories of a forced period of temporary restrictions and deprivations, a joyless encounter with often tasteless and unappealing food. Sound familiar? I will be using the word “diet” in reference to a particular nutritional direction, but essentially a conquering cancer diet is about finding a nutritional path that works for you, long term, in a sustainable way while still allowing you to experience a joyful experience with Food. 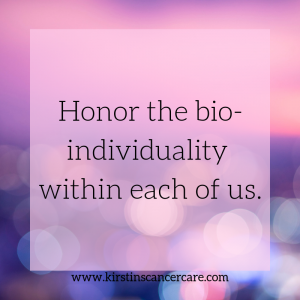 Let’s honor the bio-individuality within each of us, understand that we may respond to food in different ways, and realize in our quest to find the perfect “diet” that we are also discovering ourselves. 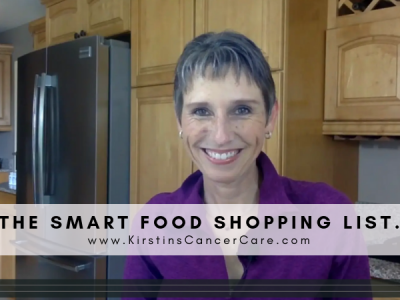 Each Anti-Cancer Diet review in this blog series will answer this question based on what the latest research is saying. However, what we also need to keep in mind is that nutrition plays a vital role in keeping our body healthy and helping it recover from cancer, but purely on its own, it is not going to treat cancer. 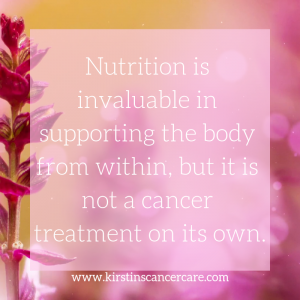 If you are thinking this, please understand that nutrition is invaluable in supporting the body from within, but it is not a cancer treatment on its own. Cancer is a complex, multi-layered disease affecting many more body functions that just the organ or organ system it was found in. It is also not enough to find out the identifying biomarkers that seem to fuel our cancer, there are different stages in actual cancer development that will determine how effectively our body can be supported in its attempt to regain its health. 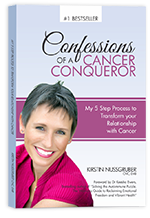 The existing condition of our inside environment, what is often referred to in the cancer nutrition literature as the “inner terrain”, has a major impact on disease and health progression that is often ignored at a time when the exclusive focus is on dealing with a diagnosed cancerous growth. 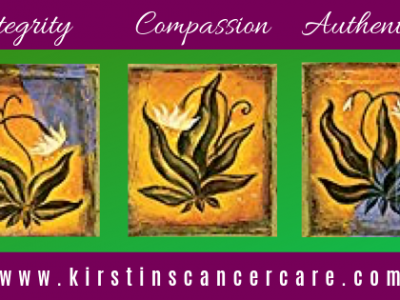 Some of us have a higher pre-existing toxic burden than others. Some of us have certain genetic mutations (called SNP’s or single nucleotide polymorphisms) that hinder the body in its ability to regain control and play its part in restoring our health. Numerous factors need to be considered when we’re coming up with a plan to fight cancer, and nutrition can influence and impact our inner terrain, helping it to the degree it is able to cope and regain balance. It is one piece in a complex labyrinth of what constitutes our unique health. With that said, here’s my review of the Macrobiotic Diet. “I adopted ‘macrobiotics’ in its original meaning, as the universal way of health and longevity which encompasses the largest possible view not only of diet but also of all dimensions of human life, natural order, and cosmic evolution. Macrobiotics embraces behavior, thought, breathing, exercise, relationships, customs, cultures, ideas, and consciousness, as well as individual and collective lifestyles found throughout the world. The Macrobiotic Diet is mainly vegetarian and places great emphasis on organically sourced, locally grown, toxin-free food [3,4,6]. The Macrobiotic Diet allows for flexible parameters depending on a person’s particular health condition. Each patient is assessed using a yin and yang balancing approach, and diet and lifestyle recommendations are then made to correct any imbalances. Eat only when hungry, chew food extensively to aid digestion. No vitamin or mineral supplements. No processed foods or foods containing artificial colors, flavors or preservatives. Cook and store all your food in pots and utensils made of wood, glass, stainless steel or china (ceramics). Avoid microwave ovens or cooking with electricity. Prepare your food in a calm and peaceful environment. Drink only when thirsty, preferably water or unflavored teas, avoid caffeine. Is a Macrobiotic Diet effective against Cancer? What does the Research Say? There is very limited research on whether an exclusively macrobiotic diet can ensure cancer prevention or long-term cancer survival. However, eating according to many of the macrobiotic principles has been shown to possibly affect overall cancer survival and recurrence. The DIANA (Diet and Androgens)-5 is an ongoing randomized clinical trial which recruited a total of 1,208 breast cancer survivors between 2008 and 2010, and is monitoring them to see if a combination of lifestyle factors such as regular exercise and a Mediterranean-macrobiotic diet plan has any effect on both weight loss and breast cancer recurrence. It should be noted that these lifestyle factors overall can lead to a healthier outcome if compared to a typical standard American diet, and may or may not necessarily be attributed to a strict macrobiotic diet alone. As whole soy foods, such as edamame beans, miso, tempeh and natto (please note this does not refer to processed soy foods such as soy milks and soy yoghurts) are a part of a macrobiotic diet, questions have been raised whether this can affect estrogen hormone-sensitive cancers. 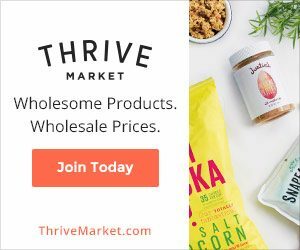 Five cohort studies involving 11,206 breast cancer patients found that frequent consumption of whole soy foods (around one to three servings per day) after breast cancer diagnosis was linked with a 21% reduction in the risk of breast cancer recurrence; as well as a 15% reduction in breast cancer mortality in both ER-negative and ER-positive cancers. 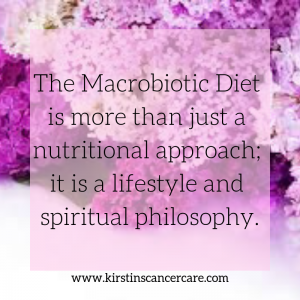 To date there is no clear clinical evidence linking following an only-macrobiotic diet to increased cancer survival and reduced risk of recurrence. If compared to a deviation from a typical standard American diet, a macrobiotic diet can certainly be seen to have a positive effect on overall health . Can the Macrobiotic Diet be Harmful? Nutritional deficiencies, in particular of Vitamin D, Vitamin B12 and Calcium, as well as excessive weight loss, can potentially occur in cancer patients following a mainly macrobiotic diet. In some instances, following an extreme macrobiotic approach, such as focusing on mainly whole grains only, can lead to certain macro-nutrient (mainly protein and overall calories) as well as micro nutritional deficiencies (vitamins and minerals in particular iron causing possible anemia). Cancer patients undergoing conventional treatments can already be weakened, and require a higher caloric intake to offset cachexic conditions (muscle wasting). I have had many ex-macrobiotic diet followers approach me for support as they were not thriving post-cancer. Short-term, it might have had some benefits, but long-term, they were struggling with it, feeling fatigued and depleted. The Macrobiotic Diet is not necessarily the ideal long-term nutritional approach for everyone. As with all defined “diets” we cannot avoid paying attention to whether or not a particualr strict dietary regimen is ultimately what our body needs to thrive from within. (3) Kushi M, Jack A. The book of macrobiotics: the universal way of health, happiness, and peace. Japan Publications; 1986. (4) Kushi M, Jack A. The Cancer Prevention Diet: Michio Kushi’s Macrobiotic Blueprint for the Prevention and Relief of Disease. 1993; Martin’s Press: New York, NY. (6) Kushi LH, Cunningham JE, Hebert JR, et al. 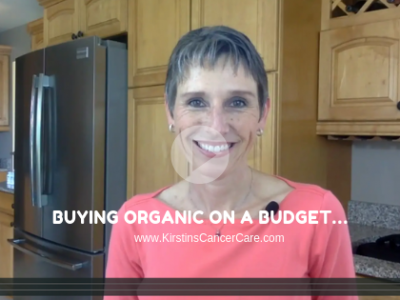 The macrobiotic diet in cancer. J Nutr. 2001;131:3056s-64s. (7) Villarini A, Pasanisi P, Traina A, et al. Lifestyle and breast cancer recurrences: the DIANA-5 trial. Tumori. 2012;98:1-18. (8) World Cancer Research Fund [and] American Institute for Cancer Research. Food, nutrition, and the prevention of cancer: a global perspective. Washington (DC): American Institute for Cancer Research; 1997. (9) Horowitz, Joellyn. and Mitsuo Tomita. “The Macrobiotic Diet as Treatment for Cancer: Review of the Evidence” Permanente Journal vol. 6,4 (2002): 34–37. (10) Chi F, Wu R, Zeng YC, et al. Post-diagnosis soy food intake and breast cancer survival: a meta-analysis of cohort studies. Asian Pac J Cancer Prev. 2013;14:2407-12. (11) Harmon BE, Carter M, Hurley TG, et al. Nutrient Composition and Anti-inflammatory Potential of a Prescribed Macrobiotic Diet. Nutr Cancer. 2015;67:933-40.